With the real estate market on the down-swing, it is more crucial than ever to do whatever it takes to make houses that are going on the market more eye-catching and appealing. That’s where professional home staging comes in. It only makes sense to spend the extra time and money necessary to give a residence that sharper edge because not only will it sell quicker, but it could mean a higher selling price. Even if you already have your own business, check out Decorate-Redecorate and visit the wonderful assortment of professional home staging online courses that are available. You will also find a number of tools that will help make the process easier. As a professional, you are clearly aware of the importance of keeping current with the latest information and techniques, regardless of what business you happen to be involved in. As a home stager and redecorator, you also know that increasing your professional home staging education can often help you clear out any of those little problem areas that have been plaguing you. If you are new to the business or just starting out, you may have done some checking on how costly and time consuming a degree in interior design can be. But at Decorate-Redecorate, you can take the professional home staging education course of your choice and it is not going to cost you an arm and a leg to do it. These courses are easy to understand, thorough, professional courses that will take you to the top of your game. So if you already have a professional business in operation but it has not reached the level you hoped for when you first started, then you owe it to yourself to take a look at what we offer and take the necessary steps to put your business over-the-top. Remember, décor is more important than ever for people who want or need to sell their home quickly. With so many people getting caught by their interest only loans, a lot of people need a quick sale to avoid having their home repossessed. 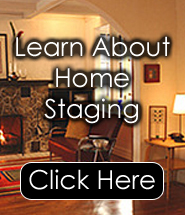 As a home stager, you can be the person who can get them out of this predicament quickly when you restage their home. Don’t cheat yourself out of the opportunity to start or improve your professional home staging business. Trek on over to www.decorate-redecorate.com right now and check out all of the ways in which you can benefit from the smart, top-notch courses, books, and tools that are offered. The prices are so reasonable that you won’t regret your decision.